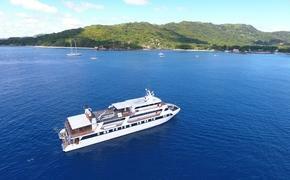 Voyages of Discovery has published a brochure detailing its 2013 summer cruise program by the 550-guest Voyager, which will join the fleet at later this year, and the 650-guest Discovery, which is undergoing an extensive refurbishment. Guests who book from the 2013 summer brochure by July 31 will receive 15 percent off the early-booking fares. Both Discovery and Voyager launch the 2013 summer season with roundtrip cruises from London to the British Isles, Northern Europe and the Baltic. Discovery will also sail in Russia’s White Sea region, overnighting at the rarely visited Solovetsky Islands during a 19-day “Summer Solstice & White Sea” cruise that sails roundtrip from London, departing June 16. Fares start at $2,804 per person, double occupancy. Both ships will sail into the Mediterranean in the fall, with itineraries that visit new ports such as Valencia, Spain; Sibenik, Croatia; Patmos, Kavala and Thessaloniki, Greece; and Monaco. Several cruises also visit the Black Sea. Discovery will operate a 23-day “Grand Mediterranean and Black Sea Discovery” voyage that departs Sept. 25, with fares starting at $2,974.